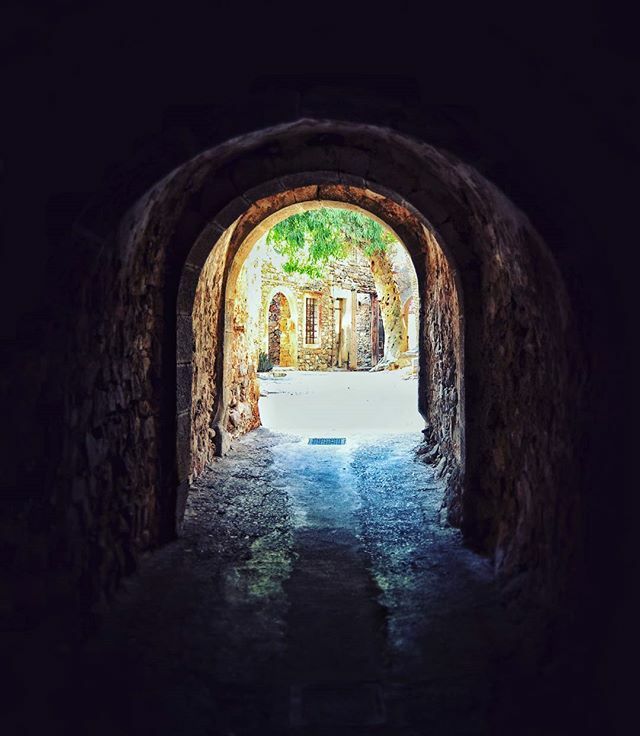 When the lepers arrived in Spinalonga they had to go through from one of the two entrances of the fortress. This entrance was a long, wet and dark tunnel. People gave the name "The Dante's Gate" to the entrance because they didn't know what was expecting them at the other side.